A very old hybrid produce by the Ghent Botanic Garden in the mid 19th century and named in 1954. A fabulous and stylish garden filler without ever becoming a diva about it. 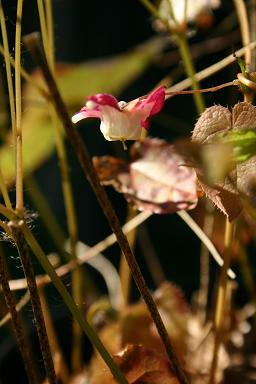 The red and white flowers are attractive, and the foliage is heavily marked with copper. Good ground cover, but put in the shade (not that it cares) by the modern hybrids of Chinese species.